HBO's Streaming Site to Compete With Hulu? HBO plans on announcing today an expansion of its streaming content site, HBO Go, according to reports. HBO Go was unveiled last April and currently exists in beta, but according to The New York Times , the site will be undergoing major overhauls that'll broaden its appeal and expand its HBO-centric content. But with big dogs like Hulu offering free content, will a subscriber-based service convince consumers to sign up for expensive cable packages just to watch online video? HBO Go is currently available for Comcast and Verizon FiOS subscribers who also subscribe to HBO. It's a sleek and organized site that offers various newish movies and HBO-exclusive TV shows like True Blood and The Wire. With 35 million cable subscribers under its belt, according to the Times, HBO Go is a one-stop shop for instant gratification, much like Netflix's more expansive streaming service (that also requires a subscription). According to the site, "There are more than 800 shows available on HBO GO every month. From new HBO Original Series and Hollywood hit movies to a vast selection of HBO award-winning original programming, there's always something to watch." HBO Go does not currently offer pay-per-view options for non-subscribers. 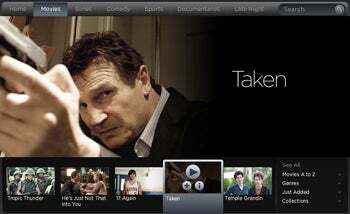 HBO Go faces serious competition, both from free and paid services. For as little as $8.99 a month, Netflix's Watch Instantly makes hundreds of movies immediately available on computers, TVs, videogame consoles and other devices. Hulu still offers free videos, despite numerous reports that it would begin charging for content in the future -- which are supposedly untrue. Besides those two, there are innumerable other streaming media sites on the Internet. HBO Go's wild card is that it can broadcast high-quality exclusive content. And while Netflix offers many more programs, some choices have low appeal; after all, who wants to watch the 2001 Freddie Prinze Jr. bomb "Head Over Heels"? HBO is expected to hold a press conference today highlight changes to the HBO Go service. Until then, details are scarce.